Before you wade into the DIY this weekend, get the answer to these 5 crucial questions about asbestos. It could be the most important five minutes of your life. This hazardous material was regularly used in buildings from the 1950s until the late 1990s, especially for fireproofing and insulation. If disturbed, it can be a killer. 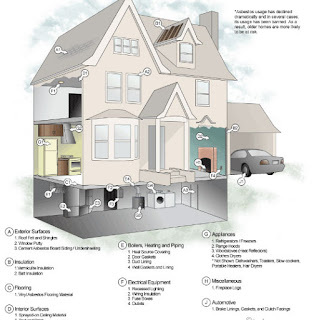 It is common to find asbestos in your home. But happily, in most cases, there's nothing to worry about. So long as the asbestos is well maintained and not disturbed or disintegrating it does not present any immediate hazard to health. The most important thing is to arm yourself with the facts before you start your DIY project. 2 Where and when was asbestos used? A popular building material since the 1950s, asbestos was used in all sorts of unexpected places until the late 1990s. Find out more so you can crack on with confidence. Asbestos was widely used in commercial buildings and homes until 1999, when it was finally banned. So if your house was built after 2000 it should be fine. 3 What does asbestos look like? Even a small amount of asbestos dust can be lethal. So don't start work if you're in any doubt. Take a moment to check out the asbestos gallery. If you live in a building constructed or refurbished before 2000, it's likely that some parts will contain asbestos. It comes in all shapes, sizes and colours. 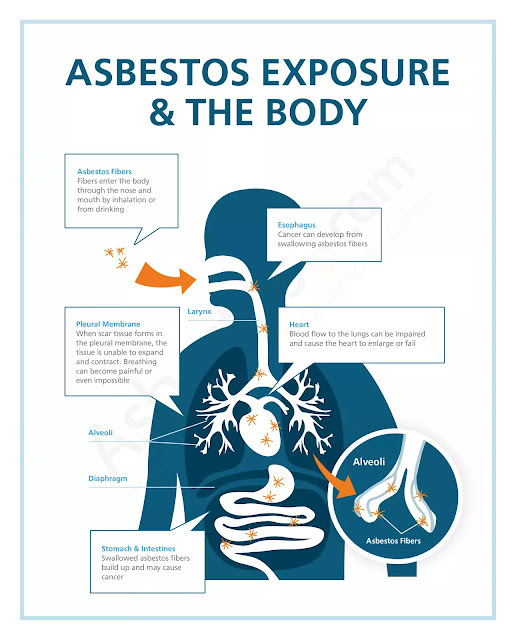 The three types are blue, brown and white asbestos, which are found in many building products. But as it was often mixed with other materials it can be hard to know if you've found it or not. To help you identify asbestos, the Health and Safety Executive has produced a useful image gallery providing real photographs of typical asbestos-containing materials that can still be found in buildings today. So don't take any chances. Take a few moments to look before you start on your DIY project. 4 What if I find asbestos in my home? 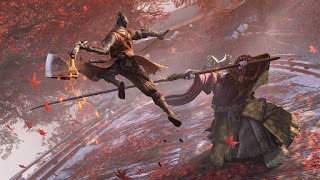 If possible, leave it alone. Asbestos is harmless if left undisturbed. But if you have to remove it, it's essential you seek help from a professional firm. Don’t panic. Asbestos materials in good condition are not a health risk and should be fine if you leave them alone. Just check their condition from time to time to make sure they haven’t been damaged or started to deteriorate. 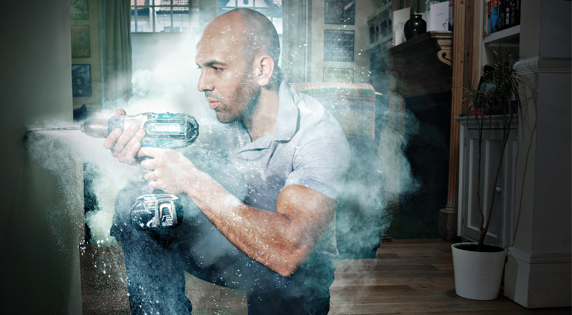 Do not assume tradespeople working in your home know about asbestos and the risks. 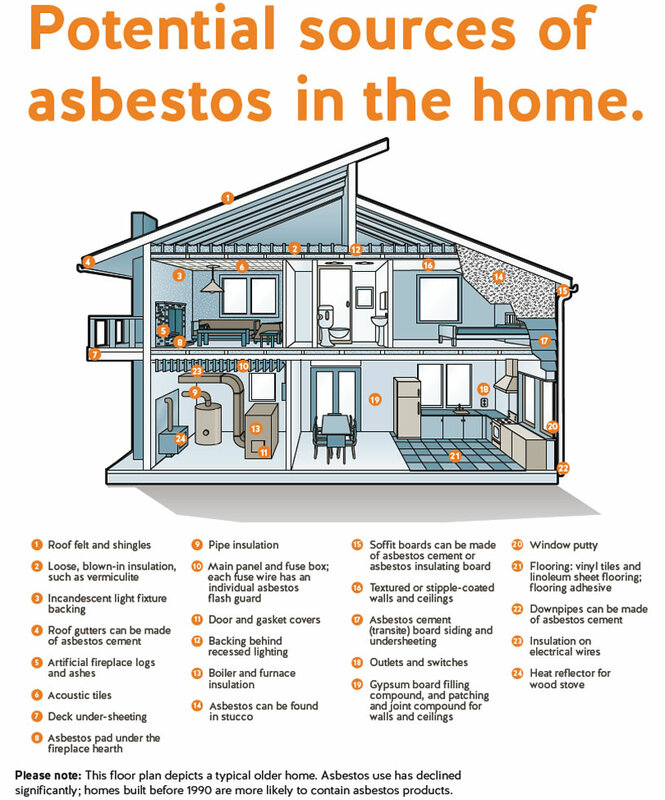 If you are the homeowner you have a responsibility to protect any tradesperson from exposure to asbestos fibres. 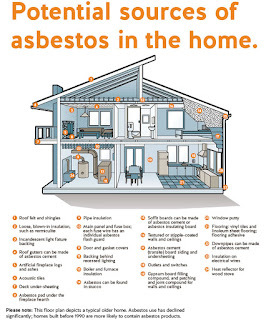 Always tell them if your home contains, or might contain, asbestos, so that they can plan and price the job correctly. 4 What if I disturb asbestos? Contact a reputable licensed contractor as soon as possible, to handle and dispose of it properly. Do not use a domestic vacuum cleaner. Do not put asbestos waste in the dustbin or a skip. Asbestos waste should only be handled by a licensed disposal site. Your local council will have the details. Waste must be transported to these sites in suitable containers that prevents the release of asbestos fibres in transit. 5 Where can I get all the facts? Thousands of people die in the UK every year from asbestos-related diseases. 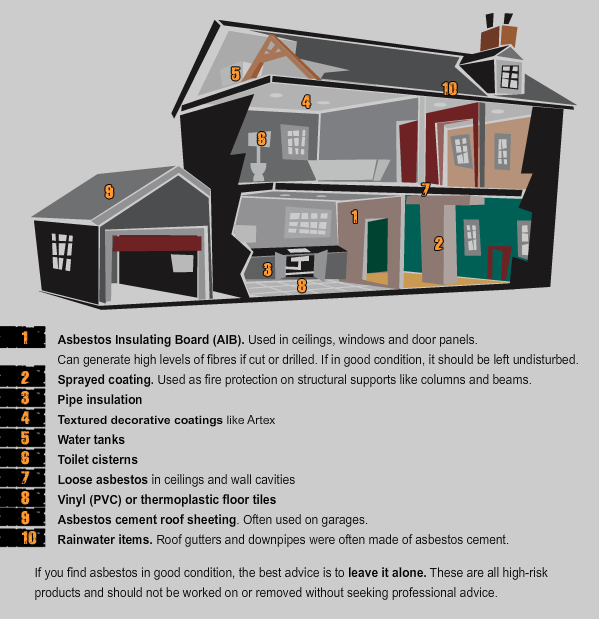 So to help you minimise the risks to you and your family, we've prepared an in-depth asbestos guide. It's full of useful information and contacts to help you identify asbestos in your home and, where necessary, deal with it safely.